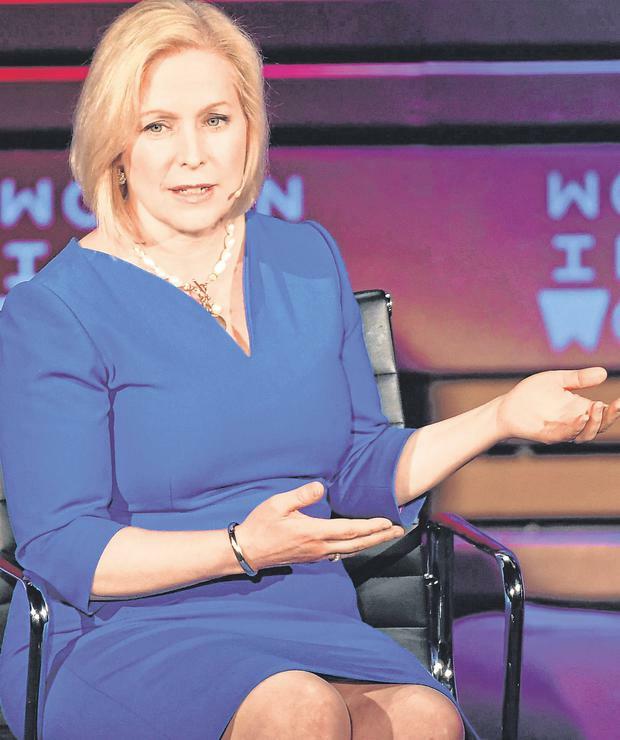 Democratic US Senator Kirsten Gillibrand, an outspoken Donald Trump critic and champion of women’s issues including the MeToo movement, has announced she will run for president. Nearly 22 months before the 2020 election, the battle for the White House is already firming up. Four Democrats – three of them women – have made clear steps towards a formal campaign in recent weeks. And many more, including several of Ms Gillibrand’s Senate colleagues, an anti-Trump billionaire businessman and former vice-president Joe Biden, are waiting in the wings. “I’m going to run for president of the United States, because as a young mom I’m going to fight for other people’s kids as hard as I would fight for my own – which is why I believe that health care should be a right and not a privilege,” the senator told Stephen Colbert on his CBS late-night talk show. Her goals will include putting gender at the fore of her campaign, combating “institutional racism”, taking on special interests and entrenched systems of power in Washington, and fighting against political “corruption and greed”. “I know that I have the compassion, the courage, and the fearless determination to get that done,” she added. The 52-year-old from upstate New York said she was forming an exploratory committee, a crucial legal step for a candidate to run for president, just days before she reportedly travels to the early voting state of Iowa. Colbert asked her whether an exploratory committee ever turns around and just says no, don’t run for president. Is it a formality, he asked. “Well, it’s an important first step. But it’s one I’m taking because I am going to run,” Ms Gillibrand said. On the government shutdown, she blamed Mr Trump and his drive for money to build a wall on the border with Mexico, saying “he shouldn’t be having a temper tantrum because he can’t get what he wants”. Mr Trump should talk to both parties about his vision for immigration reform, she added.